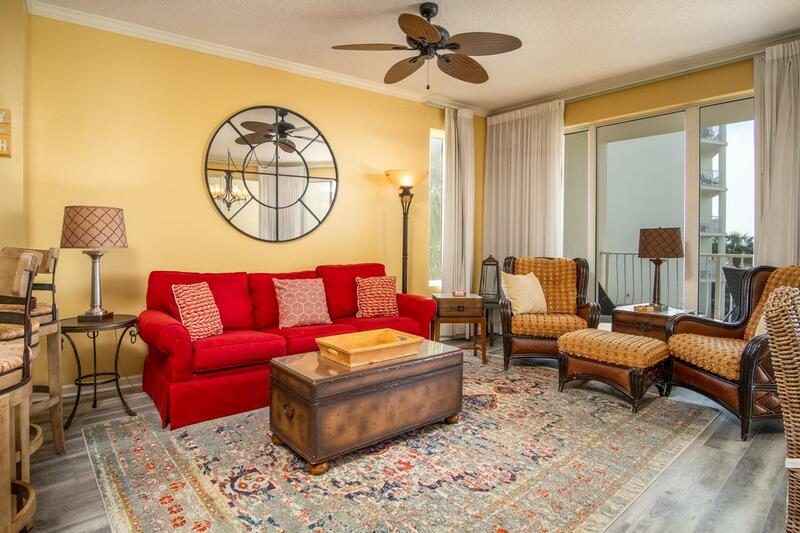 Gorgeous view of the gulf and the pool from this renovated end unit. 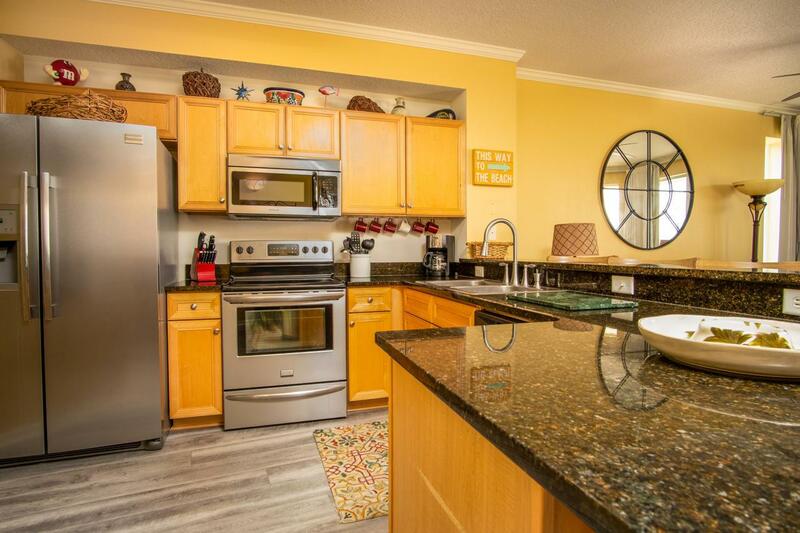 This nicely furnished condo unit features new flooring, stainless appliances, and granite countertops in kitchen. It is rental ready with current rental history. There is a large wrap around balcony with access from the living area as well as the master bedroom. The master bedroom is large enough for a sitting area. The master bath features a separate tub and shower. 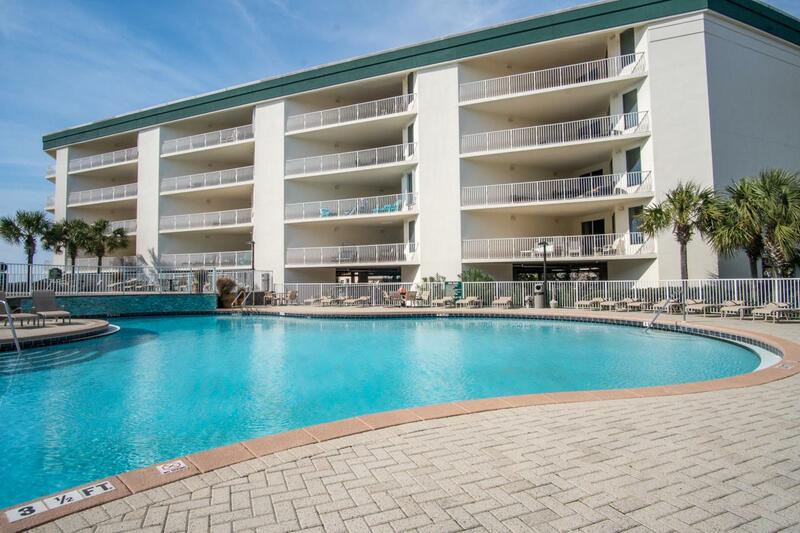 This unit includes a deeded covered parking space in a great location right next to the steps. 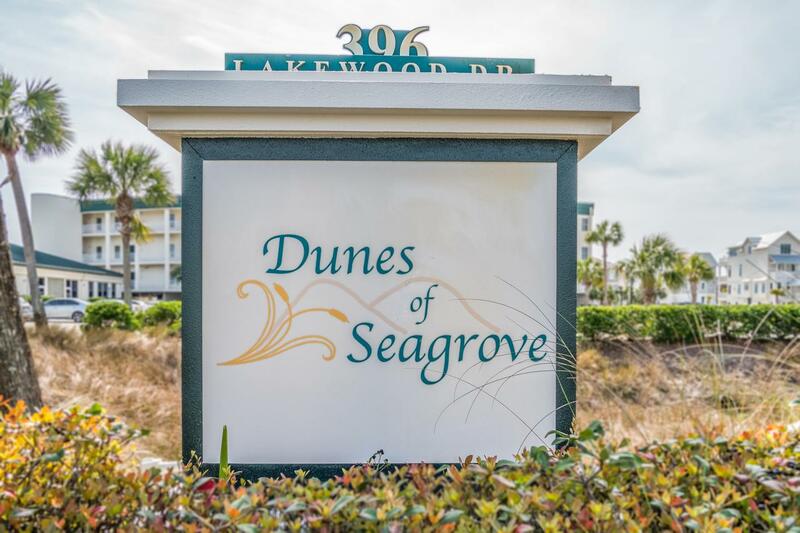 The Dunes of Seagrove has so much to offer including a 7500sf 2 tiered pool with a waterfall and hot tub. There is private beach access, tennis and a workout gym with a sauna. This would make a great second home or rental investment. Own your place at the beach!